The value of restoring and reupholstering furniture as apposed to buying a new piece. We restored a tired Arm Chair by reupholstering it and polishing up the legs. There are so many ways to renovate and restore a piece of furniture. Some of these techniques can be applied by the avid DIY enthusiast, but most of the techniques need to be applied by a professional in the industry. For example: re-caning an antique chair and changing the color and texture of the fabric on it is preferably done by a professional who knows how to work with antiques so that it retains its value. But, removing the paint from a worn dresser, treating the wood, replacing the door and drawer handles, and sticking wall paper inside to add a bit of color can be done by most handy individuals over a weekend. To renovate and restore can also be as simple as replacing springs inside a sofa that have come undone, and changing the feet. It need not always consist of an entire transformation. Something small can often be the only thing needed to breathe new life into a piece. As we all try to make the most of what we have, it seems a good idea to rather restore a piece of furniture or a beloved object than to buy a new one. Remember: the comfort, beauty, design or finish that you are looking for in a sofa, chair, table or dresser, might not be found new. And when it is found: it is often-times unaffordable! The effect that you want from a new piece of furniture can almost always be achieved with your existing piece. It certainly will cost you some money to restore and renovate your piece of furniture, but not quite as much as buying the exact piece with the exact qualities you were looking for. 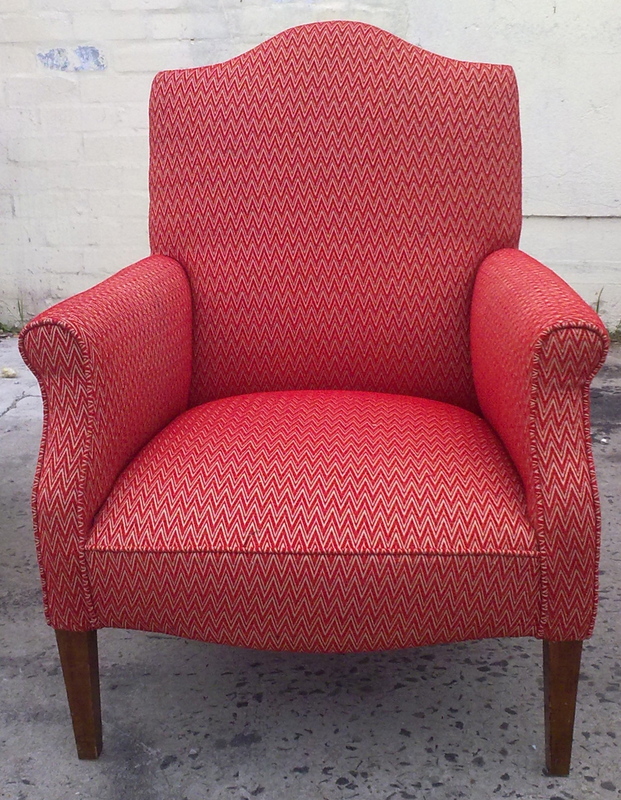 The upholstery and furniture renovation industry is so exciting and versatile! With a bit of brain power and creative ingenuity, you can accomplish so much!